As part of its educational purpose, the BSC organises since 2010 a high-profile, specialised study programme in EU competition law and economics. From now on, the programme in competition law will be jointly organised with the University of Liège (ULg) and Saint-Louis University (USL-B). Students who pass their exams and dissertation will receive an ‘Interuniversity Certificate in Competition Law’, which is worth 32 credits. The LL.M. programme is divided into 10 modules and 3 Clinical Seminars covering the full range of EU competition law and economics issues: joint ventures and horizontal cooperation agreements, vertical agreements and distribution networks, cartels, abuses of a dominant position, mergers and acquisitions, State aid, etc. (iii) a schedule that is fully compatible with the requirements of professional practice. To date, the LL.M has attracted more than 400 participants from all areas and practices (e.g., in-house counsels, lawyers, economists, civil servants, etc.). With this background, it is fair to say that the BSC's LL.M. has already gained a strong educational recognition. The Brussels School of Competition (BSC) is a private foundation based in Brussels, with a mission to foster education, compliance and research in the field of competition law and economics. 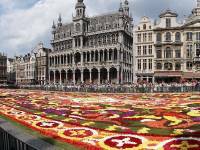 It is organised under the auspices of the Federation of Enterprises in Belgium (FEB). The increased importance of economics in competition law proceedings is a real trends. And that is why the study programme at the BSC is shaped to reflect that trends. Each duo of professors in charge of a module comprises a lawyer and a economist. This helps participants to gain insight on the important concepts and theories of harm used on a daily basis by competition authorities. All applicants must hold a Master in law or economics or a master from a business school. Alternatively, applicants may hold a master un another field and demonstrate sufficient legal expertise (e.g. professional experience or additional training in law). Working knowledge of English is required (Council of Europe, Independent User, scale B2). The tuition fees are 6,500 euros for the entire programme (10 modules + 4 clinical seminars). The fee for a single module is 700 euros.The fee for each clinical seminars is 250 euros. The course will take place on the premises of the FEB, Rue Ravenstein 4, 1000 Brussels, in Belgium. 5. It gives its students opportunities to socialise and meet fellow competition professionals on a regular basis. Program jointly organised with the University of Liège (ULg) and Saint-Louis University (USL-B). Students receive an ‘Interuniversity Certificate in Competition Law’. Ten 3-week long modules, classes are organised on Friday afternoons. Program duration may be prolonged to two years. There are no photos of Brussels School of Competition (BSC).